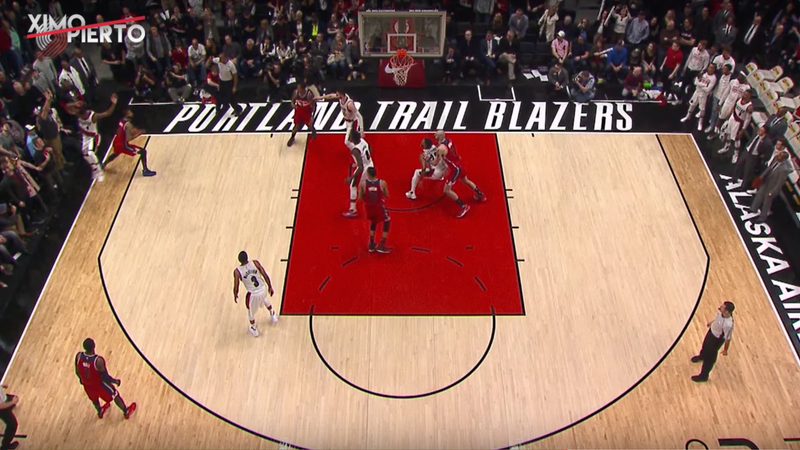 Up by 21 at halftime, the Trail Blazers had just about everything going for them against the Wizards last night. But they then collapsed in the second half and ultimately went down in overtime, falling victim to a game-winning shot from a seemingly out-of-bounds Markieff Morris with 0.4 seconds remaining that was not called or reviewed. Morris’s foot on the line before his game-winner doesn’t meet those qualifications, so as the referees didn’t call him on it instantly, there was no chance for review. Regardless, a much-needed win for the Wizards—who have now won five straight and are two and a half games in back of the first-place Cavaliers.